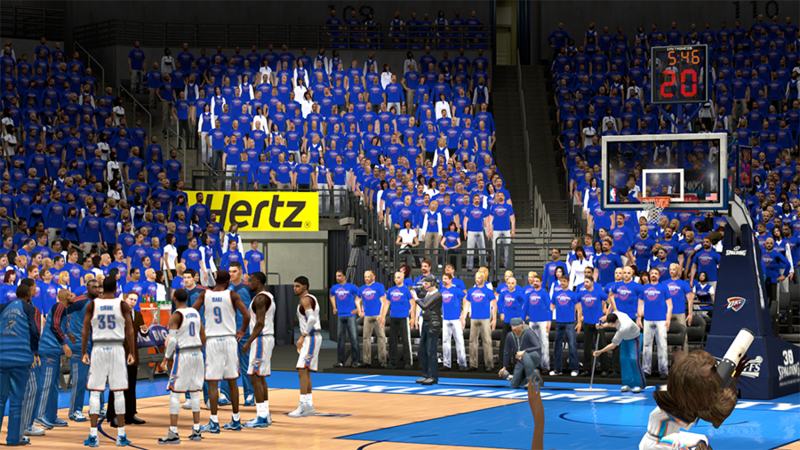 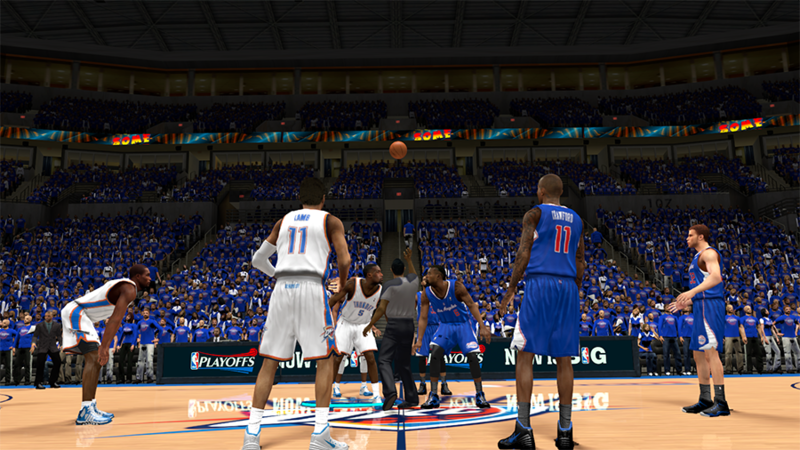 NBA 2K14 stadium crowd mod for the OKC Thunder version 2. 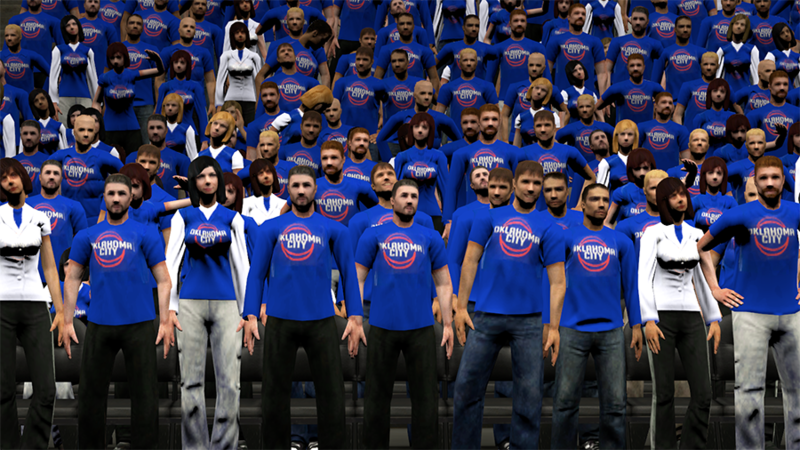 I updated the logo across the front of the t-shirts. 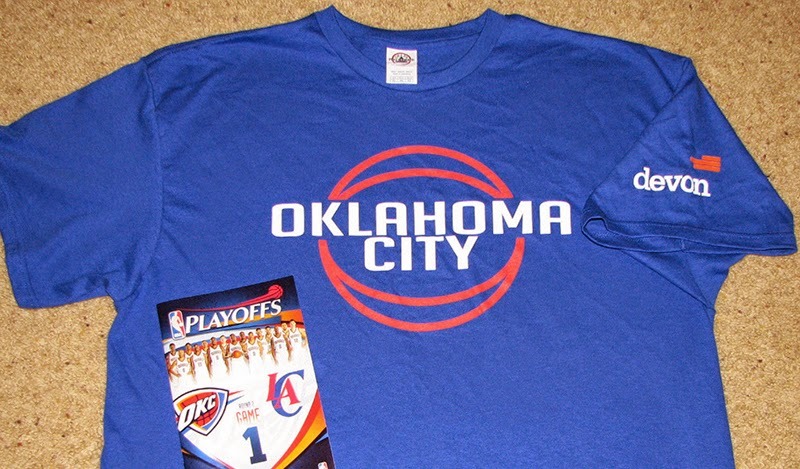 It's the official shirt design that the crowd wore in Chesapeake Energy Arena from Round 2 Game 1 of the Oklahoma City Thunder versus LA Clippers.